It’s time to GRAB THAT MIC!! But this time we will talk about Apnu Ahmedabad with a twist. It can be a story about your travel, your music inspiration, (if you are from the North East then..) your own stories and lives!! It’s open for all- poets, writers, performers, thinkers, comedians- all of you who love the stage! And of course we have some slots reserved for those exceptional Amdavadi story!! -The event is from 7:00 PM to 9 PM. 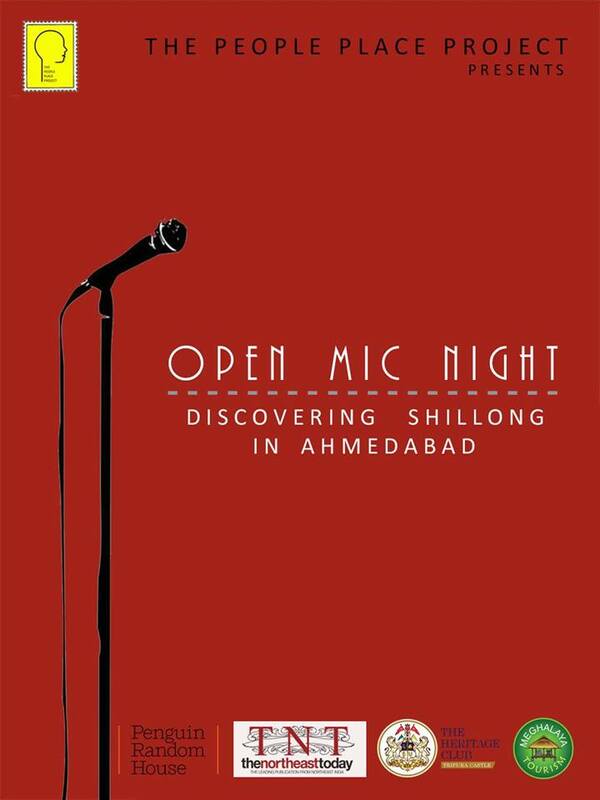 People Called Ahmedabad and People Called Shillong are anthologies of 50 stories that talk about the cities through stories of its citizens. Both books were published in 2017, and are available in all leading bookstores and Amazon. The books are a part of the endeavour at the People Place Project to connect more people to their cities and surroundings.Also our outreach events. And yes the reading season begins!